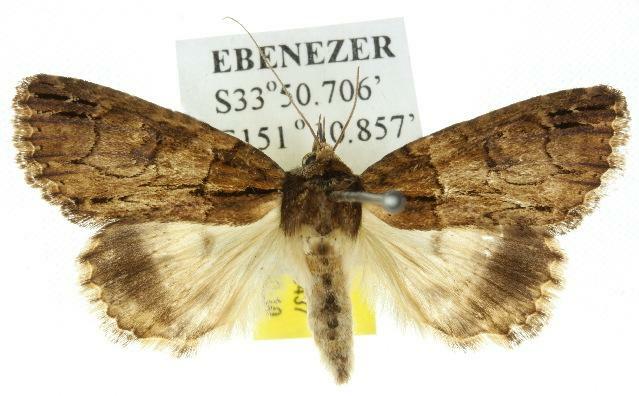 The adult moth of this species is brown with forewings that each have a pattern of dark lines, with a prominent black line from the base to the middle of the wing, and often has some white spots near the middle. 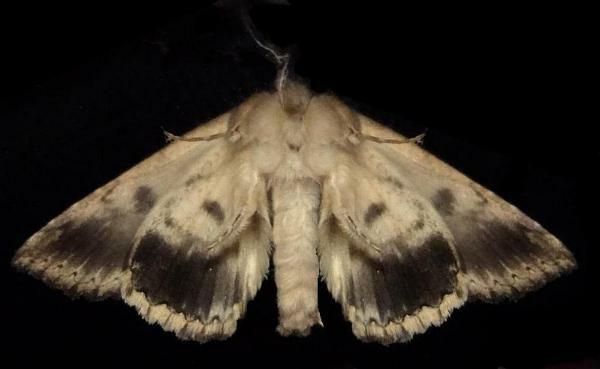 In its resting pose, the moth erects a crest of hairs on its head. 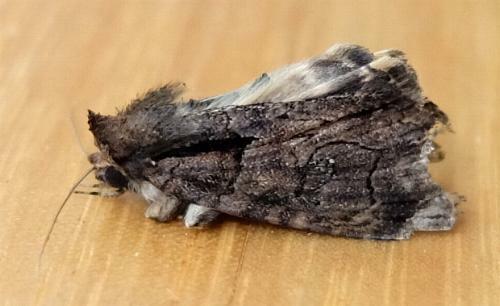 The hindwings are off-white with a broad dark border, and a shadowy comma mark near the middle. 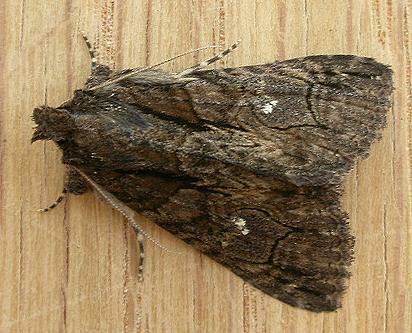 The moth has a wing span of about 3 cms. Volume 27 (1903), p. 36. Entomological Society of Victoria, 2017, pp. 16-17.